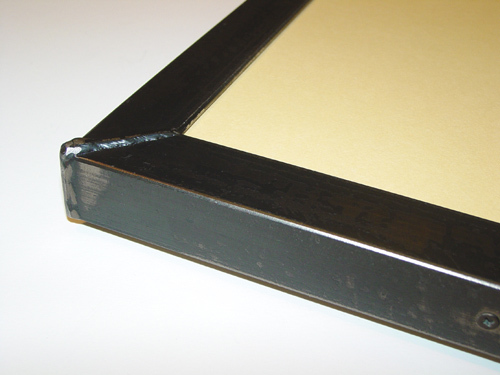 Metal frames for canvas have come a long way in the past five or ten years. Over here in Boston, we at A Street frame in both steel and aluminum. What are the pros and cons of each? Steel frames give an industrial look, while aluminum frames give the metal look of steel but in a much smaller, lighter package. 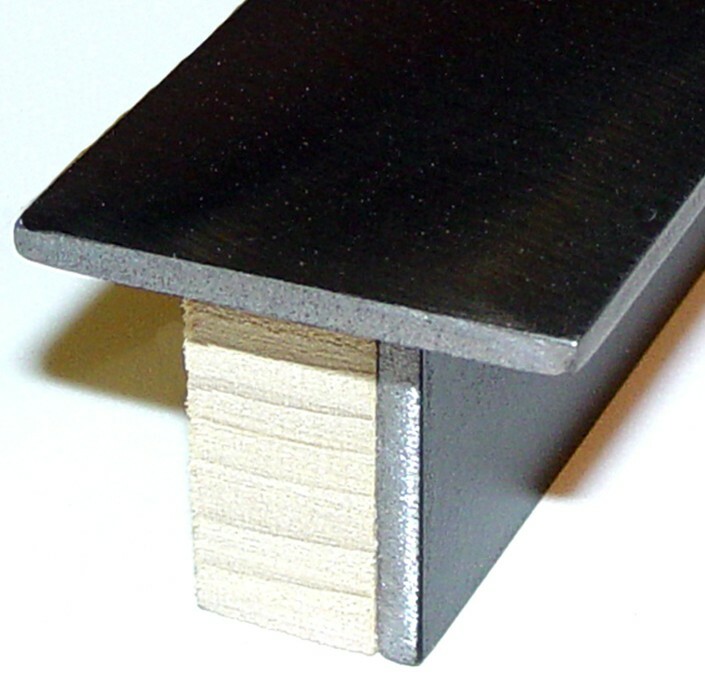 First, angle iron or flat bar steel is cut and welded to exact dimensions. The frame is then hand ground to match one of our custom grinding patterns. We weld all our metal frames in house. You can see the bead of welding in the side of the frame. These patterns can be combined with a variety of shades, providing an endless array of options for that special work of art. 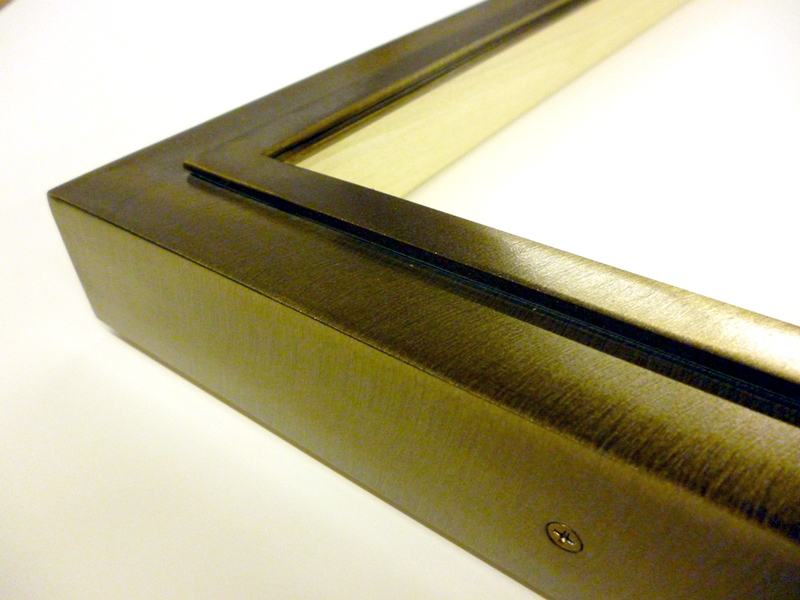 Each frame is sprayed with a durable sealing finish to protect the steel from oxidizing. 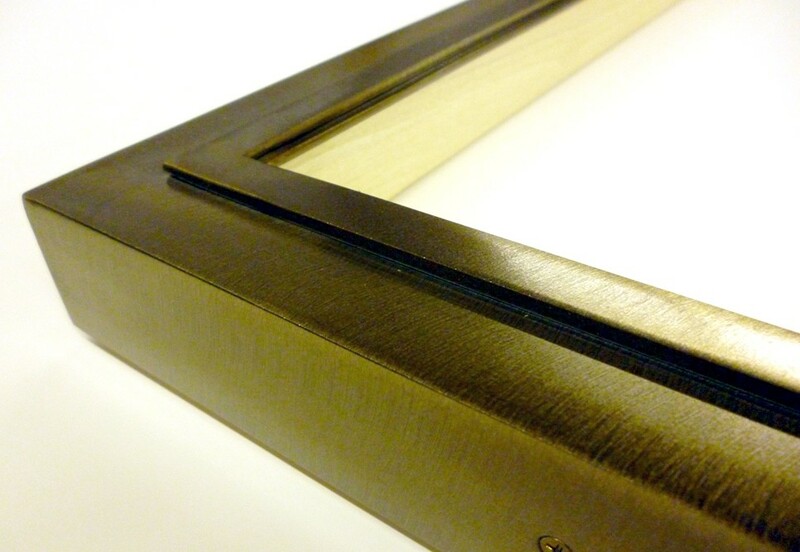 To allow for custom fitting of your artwork, each frame is also fitted with a wood core. The final result – an elegant framing solution that complement prints, drawings, photography and canvases. 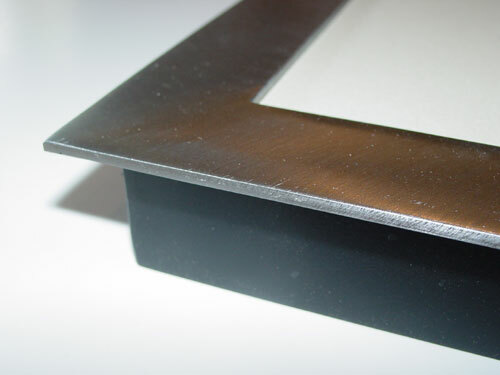 Metal frames, especially for canvas, have only been used in the past 50 years or so in art. We have been around almost as long as that. 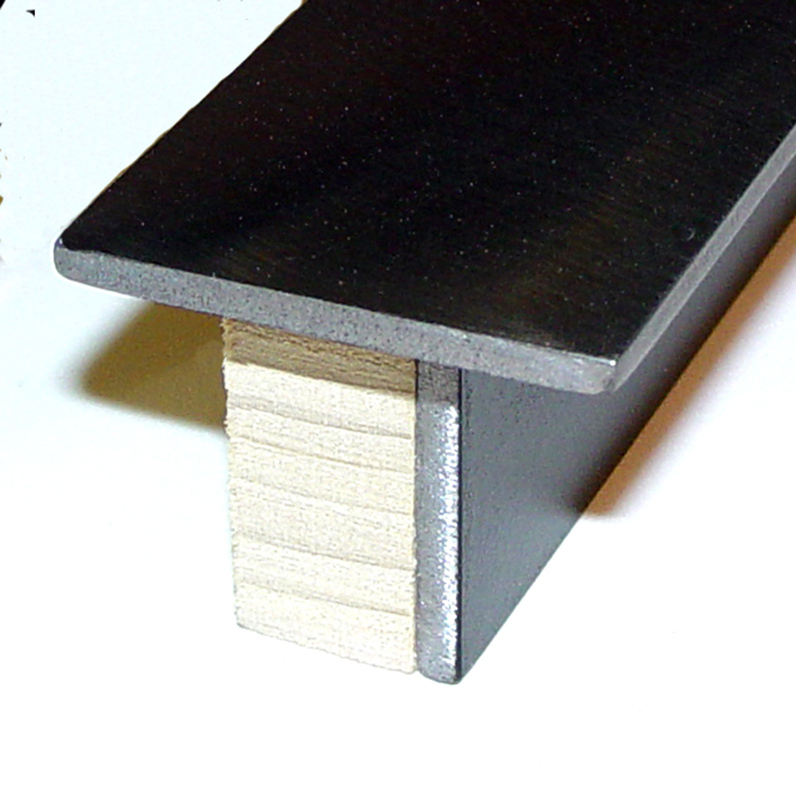 In addition to Welded Steel Frames and aluminum frames, the addition of our Flat Iron series offers a framing alternative when wider or deeper moulding is needed. Our knowledgeable staff is always here to help you choose the right frame for any art work. Whether you are searching for a contemporary metal frame or a more traditional wood option, A Street Frames can custom create the perfect frame for you. Come down to A Street Frames in Cambridge or the South End for more info or for a quote on metal frames for canvas.